The Dallas Cowboys are a professional American football team based in the Dallas–Fort Worth metroplex. The Cowboys compete in the National Football League (NFL) as a member club of the league's National Football Conference (NFC) East division. The team is headquartered in Frisco, Texas, and plays its home games at AT&T Stadium in Arlington, Texas, which opened for the 2009 season. The stadium took its current name prior to the 2013 season. The Cowboys joined the NFL as an expansion team in 1960. 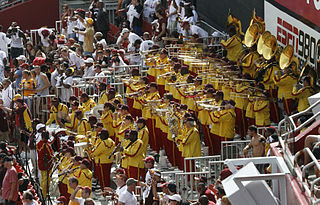 The team's national following might best be represented by its NFL record of consecutive sell-outs. The Cowboys' streak of 190 consecutive sold-out regular and post-season games (home and away) began in 2002. The franchise has made it to the Super Bowl eight times, tied with the Pittsburgh Steelers and the Denver Broncos for second most Super Bowl appearances in history, just behind the New England Patriots record eleven Super Bowl appearances. This has also corresponded to eight NFC championships, most in the NFC. The Cowboys have won five of those Super Bowl appearances, tying them with their NFC rivals, the San Francisco 49ers; both are second to Pittsburgh's and New England’s record six Super Bowl championships. The Cowboys are the only NFL team to record 20 straight winning seasons (1966–85), in which they missed the playoffs only twice (1974 and 1984). The world's most valuable sports teams, as ranked annually by the American magazine Forbes, include teams from association football, American football, baseball, and basketball. The Dallas Texans played in the National Football League (NFL) for one season, 1952, with a record of 1–11. The team is considered one of the worst teams in NFL history, both on and off the field. The team was based first in Dallas, then Hershey, Pennsylvania, and Akron, Ohio, during its only season. The league moved the team to Baltimore in 1953, where it began play as the Colts. The American Football League (AFL) had a 1960 charter member named the Dallas Texans, but the AFL Texans have no relationship with the earlier NFL team. The Cowboys–Redskins rivalry is a National Football League (NFL) rivalry between the Dallas Cowboys and Washington Redskins. In 2005, Sports Illustrated called it the top NFL rivalry of all time and "one of the greatest in sports." ESPN ranked it the best rivalry in the NFL. The Sportster has ranked it the 17th biggest rivalry in the world. During the tenure of this rivalry, the two franchises have won 32 combined division titles and eight combined Super Bowls. They are two of the wealthiest franchises in the NFL. The rivalry started in 1960 when the Cowboys joined the league as an expansion team. During that year they were in separate conferences, but played once during the season. In 1961, Dallas was placed in the same division as the Redskins, and from that point on, they have played each other twice in every regular season. From 1970 through 1979, the Cowboys won 105 regular season games, more than any other NFL franchise during that span. In addition, they appeared in 5 and won two Super Bowls, at the end of the 1971 and 1977 regular seasons. Wilford Daniel White is a former quarterback and punter for the Dallas Cowboys and an American football coach in the Arena Football League. He has been the color commentator for Cowboys games on Compass Media Networks' America's Team Radio Network since the 2011 season. He played college football at Arizona State University. 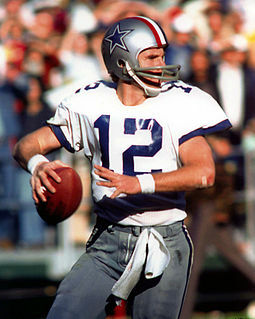 Roger Thomas Staubach, nicknamed "Roger the Dodger", "Captain America" and "Captain Comeback", is a former American football quarterback in the National Football League (NFL). The 1980 Dallas Cowboys season was their 21st in the league. The team improved their previous output of 11–5, winning twelve games. They qualified for the playoffs as an NFC Wild Card, but lost in the Conference Championship. The Cowboys went 6–10 in 1997 (including losing their last 6 games of the season), with discipline and off-field problems becoming major distractions. As a result, Switzer resigned as head coach in January 1998 and former Steelers offensive coordinator Chan Gailey was hired to take his place. In the tumultuous 2008 season, the Cowboys started off strong, going 3–0 for the second straight year, en route to a 4–1 start. However, things soon went downhill from there, after quarterback Tony Romo suffered a broken pinkie in an overtime loss to the Arizona Cardinals. With Brad Johnson and Brooks Bollinger playing as backups, Dallas went 1–2 during a three-game stretch. Romo's return showed promise, as Dallas went 3–0. However, injuries mounted during the season, with the team losing several starters for the year, such as Kyle Kosier, Felix Jones, safety Roy Williams, punter Mat McBriar, and several other starters playing with injuries. Entering December, the 8–4 Cowboys underperformed, finishing 1–3. They failed to make the playoffs after losing at Philadelphia in the final regular season game which saw the Eagles reach the playoffs instead. After beginning the 2010 season at 1–7, Phillips was fired as head coach and was replaced by offensive coordinator Jason Garrett as the interim head coach. The Cowboys finished the season 6–10. Throughout the years, the Cowboys' blue jersey has been popularly viewed to be "jinxed" because the team often seemed to lose when they wore them. This purported curse drew attention after the team lost Super Bowl V with the blue jerseys. However, the roots of the curse likely date back earlier to the 1968 divisional playoffs, when the blue-shirted Cowboys were upset by the Cleveland Browns in what turned out to be Don Meredith's final game with the Cowboys. 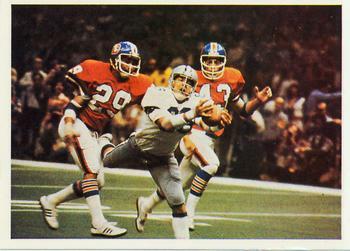 Dallas's lone victory in a conference championship or Super Bowl wearing the blue jerseys was in the 1978 NFC Championship game against the Los Angeles Rams. 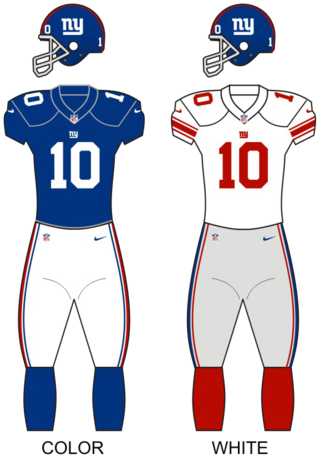 Since the 1970 NFL-AFL merger, league rules were changed to allow the Super Bowl home team to pick their choice of jersey. 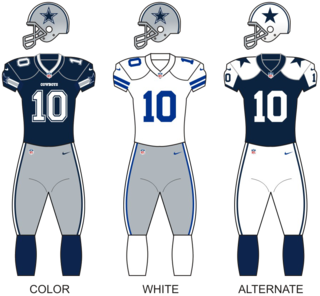 Most of the time, Dallas will wear their blue jerseys when they visit Washington, Philadelphia (sometimes), Miami, or one of the handful of other teams that traditionally wear their white jerseys at home during the first half of the season due to the hot climates in their respective cities or other means. Occasionally opposing teams will wear their white jerseys at home to try to invoke the curse,  such as when the Philadelphia Eagles hosted the Cowboys in the 1980 NFC Championship Game,  as well as their November 4, 2007 meeting. Various other teams followed suit in the 1980s. 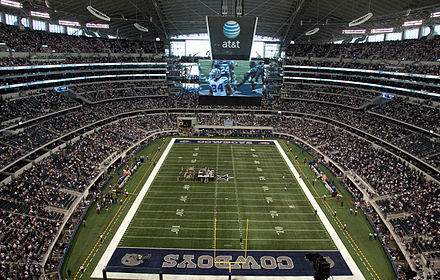 In 2009, it was replaced as home of the Cowboys by Cowboys Stadium, which officially opened on May 27, 2009 in Arlington. Texas Stadium was demolished by implosion on April 11, 2010. The bitter rivalry between the Dallas Cowboys and San Francisco 49ers has been going on since the 1970s. The NFL Top 10 ranked this rivalry to be the tenth best in the history of the NFL. San Francisco has played Dallas in seven postseason games. The Cowboys defeated the 49ers in the 1970 and 1971 NFC Championship games, and again in the 1972 Divisional Playoff Game. The 1981 NFC Championship Game in San Francisco, which saw the 49ers' Joe Montana complete a game-winning pass to Dwight Clark in the final minute (now known as The Catch) is one of the most famous games in NFL history. The rivalry became even more intense during the 1992–1994 seasons. San Francisco and Dallas faced each other in the NFC Championship Game three separate times. Dallas won the first two match-ups, and San Francisco won the third. In each of these pivotal match-ups, the game's victor went on to win the Super Bowl. Both the Cowboys and the 49ers (and the New England Patriots) are second all-time in Super Bowl victories to the Pittsburgh Steelers with five each. The 49ers-Cowboys rivalry is also part of the larger cultural rivalry between California and Texas. The Cowboys lead the all-time series with a record of 18-17-1. As of 2010 [update] , the Cowboys' flagship radio station is KRLD-FM. Brad Sham is the team's longtime play-by-play voice. Working alongside him is former Cowboy quarterback Babe Laufenberg, who returned in 2007 after a one-year absence to replace former safety Charlie Waters. The Cowboys, who retain rights to all announcers, chose not to renew Laufenberg's contract in 2006 and brought in Waters. However, Laufenberg did work as the analyst on the "Blue Star Network", which televises Cowboys preseason games not shown on national networks. The anchor station is KTVT, the CBS owned and operated station in Dallas. Previous stations which aired Cowboys games included KVIL-FM, KRLD, and KLUV-FM. Kristi Scales is the sideline reporter on the radio broadcasts. The Philadelphia Eagles are a professional American football team based in Philadelphia, Pennsylvania. The Eagles compete in the National Football League (NFL) as a member club of the league's National Football Conference (NFC) East division. In the 2017 season the team won Super Bowl LII, their first Super Bowl win in franchise history and their fourth NFL title overall, after winning the Championship Game in 1948, 1949, and 1960. Antonio Ramiro Romo is an American football television analyst and retired quarterback who played 14 seasons with the Dallas Cowboys of the National Football League (NFL). He played college football for Eastern Illinois University, where he won the Walter Payton Award in 2002, and led the Panthers to an Ohio Valley Conference championship in 2001. Troy Kenneth Aikman is a former American football quarterback who played for the Dallas Cowboys in the National Football League (NFL). The number one overall draft pick in 1989, Aikman played twelve consecutive seasons as the starting quarterback with the Cowboys, the greatest number of seasons by any Cowboy quarterback. During his career he was a six-time Pro Bowl selection, led the team to three Super Bowl victories, and was the MVP of Super Bowl XXVII. Aikman was elected to the Pro Football Hall of Fame in 2006 and to the College Football Hall of Fame on December 9, 2008 in New York City. 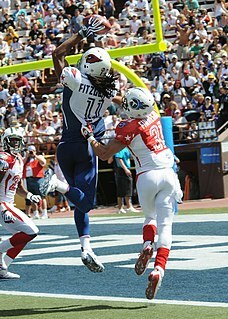 The 2010 NFL season was the 91st regular season of the National Football League. This article contains an in-depth explanation of the history of the Dallas Cowboys, a professional American football team that competes in the National Football League (NFL). The 2008 NFL season was the 89th regular season of the National Football League, themed with the slogan "Believe in Now." As with all sports leagues, there are a number of significant rivalries in the National Football League (NFL). Rivalries are occasionally created due to a particular event that causes bad blood between teams, players, coaches, or owners, but for the most part, they arise simply due to the frequency with which some teams play each other, and sometimes exist for geographic reasons. The Cowboys–Giants rivalry is a National Football League (NFL) rivalry between the Dallas Cowboys and New York Giants. The beginning of this rivalry is difficult to trace, but is perhaps best defined by the first game the two teams ever played back in 1960, which resulted in a 31–31 tie. In the early 1960s the New York Giants were beginning to wind down as an NFL powerhouse. After having been arguably the most dominant team in the Eastern Conference through the 1950s and early 1960s the Giants entered a period of poor play where they did not make the playoffs from 1964–81. While the Giants dominated the Cowboys in the first few years of the rivalry, the Cowboys picked up steam and took control from the mid-1960s to the early 1980s, winning 17 of the 20 meetings between the 2 teams in the 1970s. In the 1980s however the Giants struck back, and the rivalry has been relatively even handed ever since with intermittent spurts of dominance. This is a unique rivalry in American sports in that no other Texas area team is in the same division as a New York area team, or has a consistent rivalry with one, most likely due to the relatively far geographical distance between the two regions. ↑ "1960 Dallas Cowboys". Dallas Cowboys. Archived from the original on October 16, 2014. Retrieved September 12, 2016. 1 2 "Fingertip Information" (PDF). 2018 Dallas Cowboys Media Guide. NFL Enterprises, LLC. September 12, 2018. Retrieved September 17, 2018. 1 2 "Dallas Cowboys Team Capsule" (PDF). 2018 Official National Football League Record and Fact Book. NFL Enterprises, LLC. August 9, 2018. Retrieved August 29, 2018. 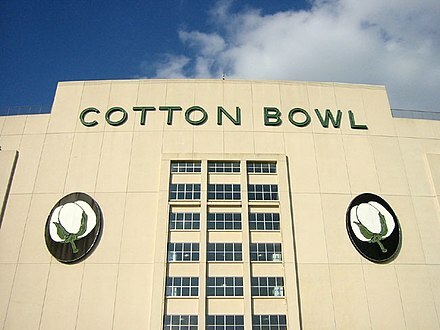 ↑ "AT&T Takes Naming Rights Of Stadium; Now AT&T Stadium". Dallas Cowboys. July 25, 2013. Archived from the original on March 31, 2015. Retrieved September 13, 2015. ↑ "NFL History 1951–1960". NFL.com. NFL Enterprises, LLC. September 28, 2015. Retrieved September 28, 2015. ↑ "Cowboys Attendance Records" (PDF). 2017 Dallas Cowboys Media Guide. NFL Enterprises, LLC. September 26, 2017. Retrieved August 29, 2018. ↑ "Team History: 1999 Dallas Cowboys". DallasCowboys.com. Archived from the original on November 26, 2011. Retrieved February 17, 2009. 1 2 Ozanian, Mike (September 14, 2015). "The Most Valuable Teams In The NFL". Forbes . Retrieved September 28, 2015. ↑ "Sports Money: 2018 NFL Valuations". Forbes. September 20, 2018. Retrieved September 22, 2018. ↑ "Forbes: Cowboys most valuable NFL team for 12th year in row". ESPN. September 20, 2018. Retrieved September 22, 2018. ↑ "Team Game Finder Query Results". Pro-Football-Reference.com. Retrieved December 20, 2015. ↑ "Jeff Pearlman on the unbelievable story of the implosion of the Dallas Cowboys". the Guardian. Retrieved December 20, 2015. ↑ "Dallas Cowboys Coaches". Cowboysplus.com. Retrieved November 28, 2008. ↑ Ellis, Josh (October 28, 2008). "The Injury List Just Keeps On Growing". DallasCowboys.com. Archived from the original on October 31, 2008. Retrieved January 11, 2010. ↑ "NFL Network: Cowboys fire Wade Phillips as head coach, promote Jason Garrett". USA Today. November 8, 2010. Retrieved November 8, 2010. ↑ "Cowboys News: Dak Prescott And Ezekiel Elliott Headline Cowboys' Pro Bowl Selections - Blogging The Boys". Blogging the Boys (Dallas Cowboys blog). ↑ "'All or Nothing' series to showcase Cowboys' 2017 season". NFL.com. NFL Enterprises, LLC. March 1, 2018. Retrieved August 29, 2018. 1 2 Scales, Kristi (December 5, 2017). "BREAKING NEWS: Why the Cowboys Are Wearing a New Uniform Color-Combination on Sunday". 5PointsBlue.com. Dallas Cowboys. Retrieved January 20, 2018. The Cowboys do not have an all-blue set of Color Rush. But they do have their navy jerseys (PMS 289 C) which are normally worn with silver pants (Metallic Silver PMS 8180 C). 1 2 3 Eatman, Nick (November 26, 2013). "Cowboys To Wear Blue Jerseys At Home Thursday". Dallas Cowboys. Archived from the original on November 27, 2013. Retrieved November 23, 2015. 1 2 Hanzus, Dan (June 13, 2017). "Cowboys will wear navy jerseys at home more often". NFL.com. NFL Enterprises, LLC. Retrieved September 21, 2018. 1 2 DaSilva, Cameron (June 13, 2017). "Here's the real reason behind the Dallas Cowboys' mismatched uniform colors". Fox Sports . Retrieved August 25, 2017. ↑ Gross, Shannon (September 25, 2013). "CowBuzz: Boys' To Wear Navy Jerseys This Weekend". Dallas Cowboys. Archived from the original on September 28, 2013. Retrieved November 23, 2015. ↑ Lukas, Paul (December 19, 2005). "The Island of Misfit Unis". ESPN . Retrieved November 23, 2015. ↑ Lukas, Paul (October 26, 2007). "ESPN Page 2 – Uni Watch: How 'bout them Cowboys?". ESPN. Retrieved November 28, 2008. ↑ Williams, Charean (November 22, 2001). "Cowboys going with retro look". Fort Worth Star-Telegram . ↑ Wallace, William N. (January 7, 1981). "EAGLES DEVISE COLOR SCHEME FOR COWBOYS". The New York Times. Retrieved December 10, 2016. ↑ "Cowboys to Wash Out Blue". The New York Times. Associated Press. January 15, 1981. Retrieved December 10, 2016. ↑ Gross, Shannon (November 20, 2015). "CowBuzz: Cowboys Unveil New ColorRush Uniform For Thanksgiving Day Game". Dallas Cowboys. Archived from the original on November 21, 2015. Retrieved January 23, 2018. ↑ Bell, Jarrett (September 18, 2009). "'This transcends football': 'Boys boast as new stadium shines". USA Today. Retrieved April 30, 2010. ↑ Popik, Barry (August 22, 2009). "Jerrydome or Jerry Dome (Dallas Cowboys Stadium in Arlington) – The Big Apple". Barrypopik.com. Retrieved November 4, 2013. ↑ Murph, Darren (May 18, 2009). "Kansas City Royals to get 'world's largest' HD LED scoreboard". Engadgethd.com. Archived from the original on September 26, 2009. Retrieved May 22, 2009. ↑ "Cowboys reveal world's largest HD LED screen to the public ", LEDs Magazine, August 23, 2009. Retrieved on 2009-08-23. ↑ Phillips, Rob (September 21, 2009). "Open & Shut". Dallas Cowboys. Archived from the original on September 24, 2009. Retrieved August 29, 2018. ↑ "Cowboys shut down Panthers' offense for first win in new stadium". ESPN. September 29, 2009. Retrieved January 15, 2017. ↑ Hanzus, Dan (July 25, 2013). "Cowboys Stadium now called AT&T Stadium after deal". NFL.com. NFL Enterprises, LLC. Retrieved July 26, 2013. ↑ "History of Dallas Cowboys Training Camp Sites, 2008 Update – Know Your Dallas Cowboys | Know Your Dallas Cowboys". 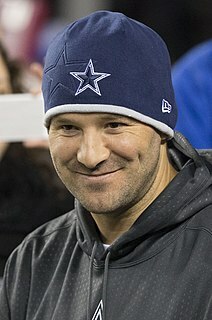 Knowyourdallascowboys.com. Retrieved September 3, 2012. 1 2 "Dallas Cowboys Records by Opponent". FootballDB.com. Retrieved December 20, 2015. ↑ "Beaver County Times & Allegheny Times Online – Steelers". The Times. UK. December 7, 2008. Retrieved August 9, 2009. ↑ Michelle Munoz (Contributor). "Cowboys-49ers: A Rivalry for the Ages". Bleacher Report. Retrieved November 4, 2013. ↑ "The Greatest Rivalries in the NFL: 49ers-Cowboys". Niners Nation. Retrieved November 4, 2013. ↑ "Packers vs Cowboys: Great NFL rivalry is renewed". USA TODAY. Retrieved 2019-02-21. ↑ DawnMacelli (January 9, 2017). "Packers-Cowboys: A Playoff Rivalry As Old As The Super Bowl Itself". Blogging the Boys . Retrieved September 21, 2018. ↑ Tramel, Berry (January 12, 2017). "Dallas-Green Bay reaches the top of NFL playoff rivalries". The Oklahoman . Retrieved September 21, 2018. ↑ "Radio Broadcast Information". Dallas Cowboys. Retrieved August 29, 2018. Wikimedia Commons has media related to Dallas Cowboys .